In 6th Grade, we will be studying the Old Testament. After the Easter Break will we be studying Chapters 17, 18 & 19 in our book. Our class saint is St. Therese of Lisieux. She teaches us many things including that God does not ask us to make huge gestures. 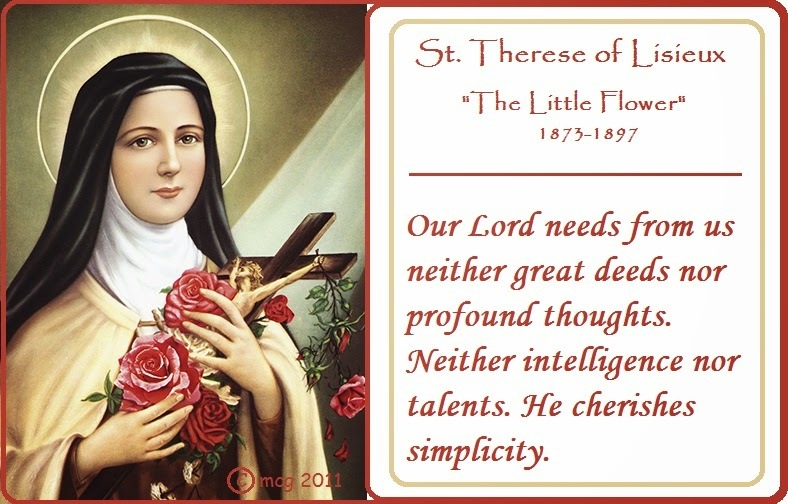 St. Therese reminds us that it is the little actions we make every single day that count more.